CIDER CHUTNEY is produced by Fowey Valley Cider at Golant near Fowey,Cornwall. 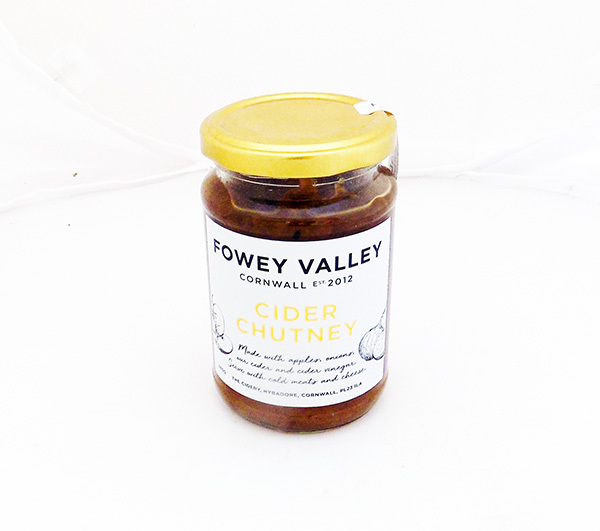 Made from a secret family recipe, the chutney has their delicious cider, cider vinegar, apples and olive oil in it. What more could you want? ! Not too spicy so the apple and onion can come through. Delicious with cold cuts or cheese.